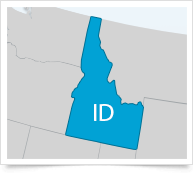 You can access the full Idaho Employment Law Manual (over 50 state-specific reference resources) and Employee Handbook templates (over five state-specific handbook policy templates) below, as well as view key state and municipal deadlines, additional state-specific resources and links to key municipal coverage. Updated to reflect new Form ID W-4, effective January 1, 2019. Updated to include information on Idaho Form W-4, effective January 1, 2019. Does This Law Apply to My Organization in Idaho? Updated to reflect an amendment to the minimum wage exemptions, effective July 1, 2018.